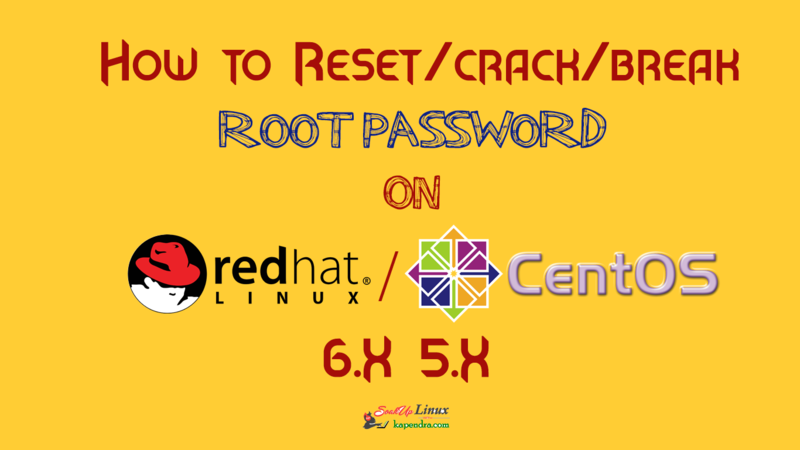 How to Reset/crack/break root password on CentOS/RHEL 6.X 5.X? 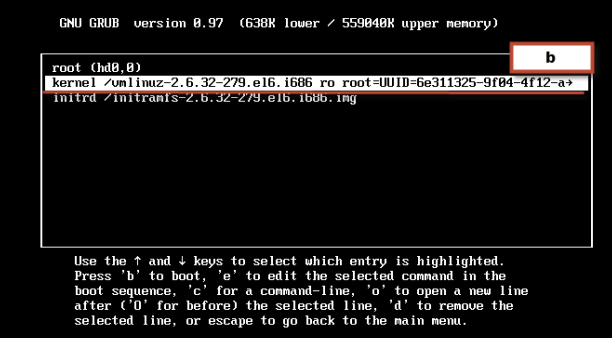 Home Linux How To Reset/crack/break Root Password On CentOS/RHEL 6.X 5.X ? Whenever you forget your root password, it’s a disaster and root password is really important because you can’t even look disk property without being root. 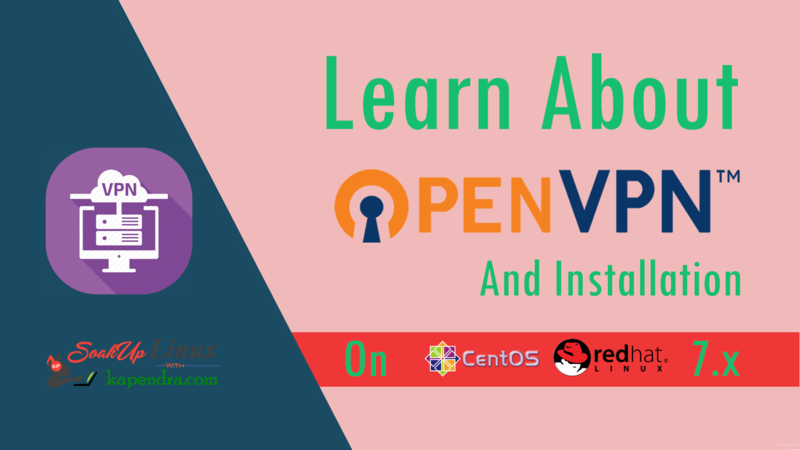 Apart from this, you have got much more reasons to reset your CentOs/RHEL password like, forgetting after installation or missed with handling lots of passwords. Well, this tutorial will help you reset/break ROOT password or you may reset any account password. In this article, we will not use any live OS or other media but we will use recovery method to do so. 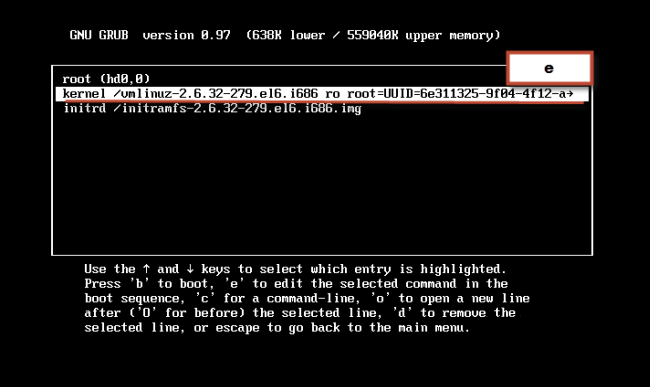 By the end of this article, you will be able to reset the root password on your CentOS 5/6 installation. 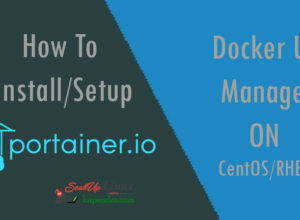 If you are not able to login into your CentOS/RHEL server/system then reboot your system using CTRL+ALT+DEL or powering off. When the start gets up with booting screen which shows you “Booting With …...”, Just press any key to get this screen. This will show grub screen like below. As we are in grub menu select your working kernel version. 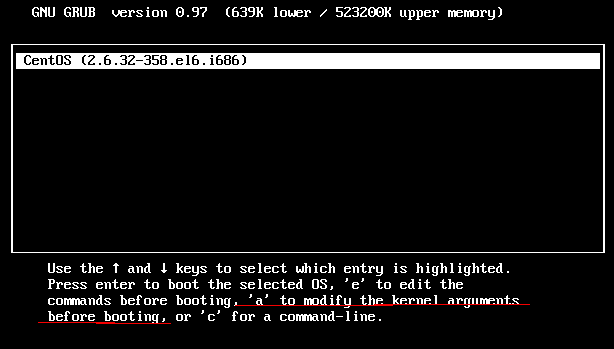 And press ‘e’ and select the “kernel /vmlinuz-…” line and press the ‘e’ key to pass an argument at run time in the kernel. It’s like editing kernel. Note: If grub is password protected then you need to press ‘p’ key to enter the enter grub password. Then press ‘e’ key. Now change the boot option of the kernel. To do so, in terminal append 1 or s or single in the end of the line after quiet. After you have passed option in the kernel you need to boot system with your passed argument by pressing ‘b’ on the following screen of the kernel /vmlinuz… line. You will be prompted for typing password two times. Previous articleHow To Break/Crack ROOT Password In UBUNTU With CD (LIVE OS)? Next articleHow To Install PHP 5.6 Using YUM ON CentOS/RHEL 6/7?